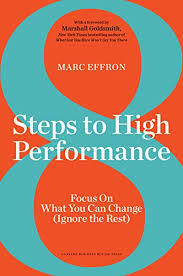 Book Review – “8 Steps to High Performance: Focus On What You Can Change (Ignore the Rest)” by Marc Effron | Investing blog and tools, investment books reviews. The money road. As any business book worm could notice, there is no shortage of career advice books being published. According to our own doitinvest.com rough estimations, at least 200 titles are heavily pushed towards the English speaking exec-suite “wanna be’s”. Naturally, with so much noise, one normal reader does not stand a chance to read even 10% of these. Therefore the questions is – what makes “8 Steps to High Performance – Focus on What You Can Change” a book worth reading? If you ask me, first is the author – Marc Effron. He is not only a relatively well known talent consultant, but also a refreshingly direct person. 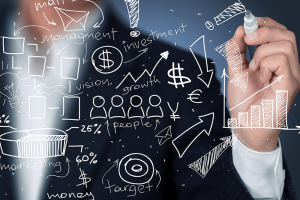 Marc Effron does not pretend he is reinventing the career management- instead, he states he relies on the old-fashioned approach of synthesizing significantly tested HR theories into easy to follow steps to improving one’s career. Secondly, “8 Steps to High Performance – Focus on What You Can Change” comes fully grounded on the business realities of today. I would be hard pressed to quote anything odd or impossible to apply from the book – which makes it more of a high school career handbook than anything else. There are also things that weigh “8 Steps to High Performance – Focus on What You Can Change” a bit down. Today there comes the moment when we should spend some time thinking and working on our personal development. Not randomly, not by trial and error. Rather, by using a conscious and results oriented approach – this is where Marc Effron and his talent development philosophy enters the scene. I am not sure if this is a bonus point or not – but Marc Effron does a lot of internal selling relative to his concept. As a consultant to many organizations, Effron has for sure the experience and the clout to do so. His directness is both refreshing and boasting in the same time. He states that he is bringing no new revolutionary concepts – rather he applies a refining process again and again (to thousands of sources, from articles to TED or conferences) to the books‘ main ideas. Thus, after several years of work, he managed to distillate the eight principles – as well as testing them in practical situations. The book does not stop here with the disclosures. It applies some academic principles into the distillation principles, classifying the statements made by various organizational and authors into 3 categories. It does not disavow 2 of these categories, but it goes without saying that using during the book only the 3rd („proven science“, i.e. statements formally made and tested over a statistical relevant no of cases) is more reliable. Now, I would not go so far as to test his testing (the book is not an academic one after all) – but of course, talking about HR and psychology, theories evolve over time, as well as the approaches. 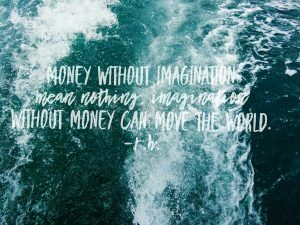 – focus/time conscious advice (e.g. 50/50 influencing skills / circle of influence type of approach) etc. Marc Effron looks at the eight high-performance principles from an action-oriented perspective. His book is a constant reminder that whilst there will always be „implicit“ high performers, few of them are 90-100% genuine. We tend to learn how to advance our career from self-learning and from various uncoordinated sources – which is at best a slow tedious trail-and-error process, similar to the 19th century apprenticeships. His book tries to correct this approach – in a surprisingly condensed manner. This is why I would recommend its lecture to the same audience that Marc Effron does – simply those purely interested in advancing their career in an efficient way.